Front secured with lift and release latch. Front opening dimensions H x W: 500 x 750mm. H x W x D: 1450 x 1400 x 1200 mm. 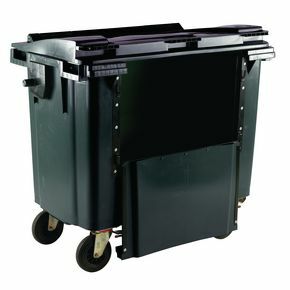 For large amounts of waste, these 4 wheeled drop down front bins are easily accessible for you to put waste into them. A secured front latch with a lift and release function provides an opening with dimensions of 50cm high by 75cm wide, allowing waste to be deposited without having to lift it over the top of the bin. The lid can also be lifted to enable it to be used to full capacity when necessary. Ideal for anyone who needs large capacity waste storage, but who find it difficult to lift waste over the high sides of standard large waste containers. They are available in a choice of 4 colours, blue, green, grey and yellow. 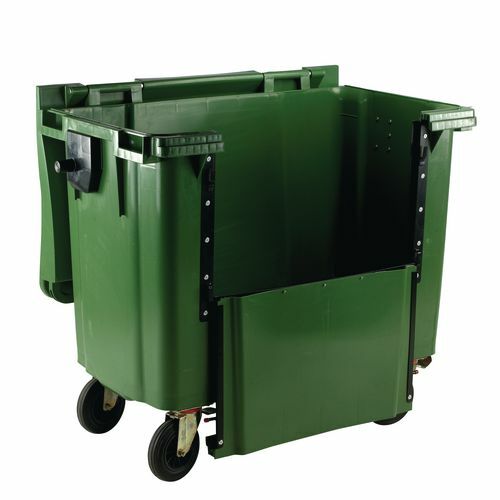 The four castor wheels make these bins easily movable, with the addition of a handle on either side to help guide them. 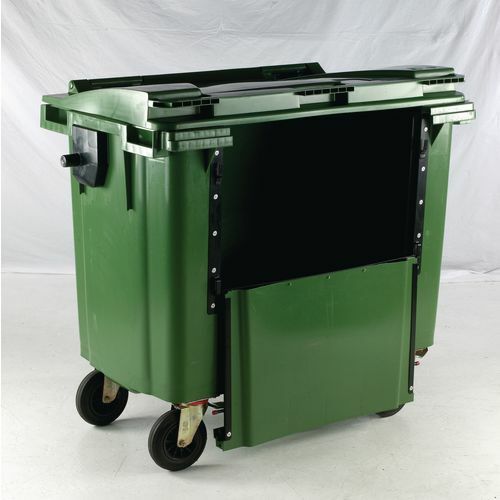 These bins are tough and durable products, making them long lasting and they also come with 12 months guarantee.